RDO provides interior tanker truck cleaning services for many of our customers. We offer services as complicated as confined space entry cleaning or a simple rinse out to remove debris. We offer these service in the field or by appointment at our facility in Sparks. NOTE: We DO NOT handle or process the following chemicals or oil comingled with these chemicals; Benzene, Carbon Tetrachloride, Chlorobenzene, Chloroform, 1,4-Dichlorobenzene, 1,2- Dichloroethane, 1,1-Dichloroethylene, Methyl Ethyl Ketone, Tetrachloroethylene, Trichloroethylene, and Vinyl Chloride. NOTE: RDO does not haul or accept large quantities of gasoline or wastewater laden with heavy gaoline due to flash point restrictions. 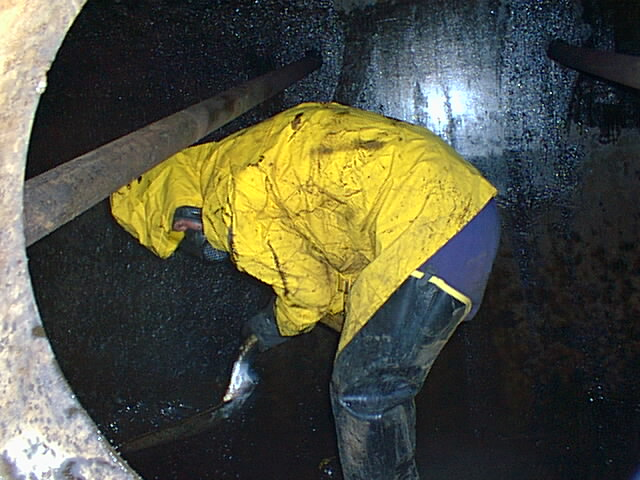 Trained Confined Space personnel performing tank cleaning. RDO Environmental has a fully trained and qualified staff that can inspect, clean and repair above and below-ground petroleum storage tanks, containment areas and tanker truck vessels. Our staff includes State of Nevada Certified Environmental Managers (CEM’s) , OSHA Certified Confined Space Entry personnel, certified welders and a fully equipped Hazardous Material Response Team. In addition, our experiences with waste recycling helps keep cleaning costs down. 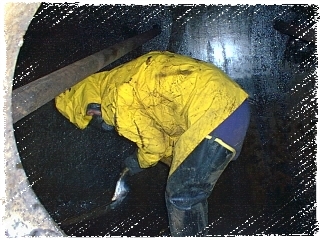 The experienced staff at RDO can make your tank inspection, cleaning and repair work safe and economical. Trust RDO to do it right the first time.